Rome the capital of Italy is one of the oldest and beautifully built places in the entire world. Walking through the streets of Rome will take you back to the ancient times of the Roman empire. A poet rightly describes Rome as the Eternal City considering the beauty and the advanced architecture the city has. The city has also been called the capital of the world since it is one of the pioneers of the western civilizations and metropolis. The Roman Colosseum originally known as the Flavian Amphitheatre is a beautiful oval amphitheater situated at the heart of the city of Rome. This colosseum was authorized by Emperor Vespasian who belonged to the Flavian dynasty as a gift to the people around A.D. 70-72. The work got completed in A.D. 80 and his son Titus opened the Colosseum to the public. It featured hundred days of games like gladiatorial combats and wild animal fights like bullfighting etc. 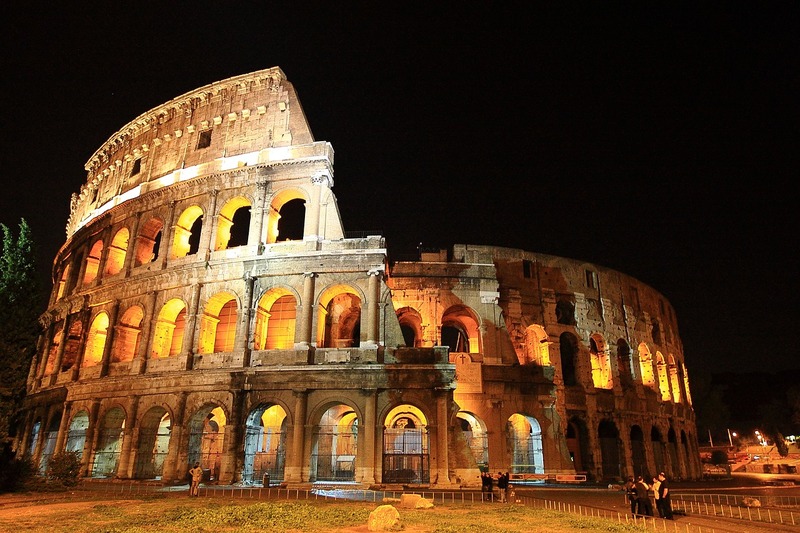 The Colosseum was the largest amphitheater in the world at that time measuring about 513 feet to 620 feet in height. It could hold almost 50,000 spectators at one time who used to be seated according to the ranks during the games. Even after four decades of use and many natural calamities, the major part of the structure stands erect in all its glory. Even though two-thirds of it has been destroyed, it is one of the most visited places in Rome. 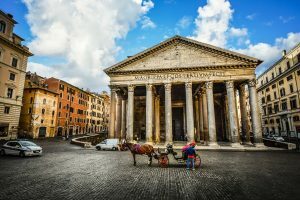 Pantheon is yet another beautiful architectural marvel in the capital city. This church is one of the most influential buildings of the ancient Roman empire. It was initially built as a temple during the reign of Augustus in the years 27 BC to 14 AD. It was later converted to a church by emperor Hadrian in 126 AD. The structure of Pantheon is the most attractive part. The structure has a series of arches. These were used by the Romans to make their buildings stable and stronger. The large dome has an opening on the top for the light to enter in and it gives the structure a magical appearance. The building is built on a 1.3 m high base and consists of two parts, the circular main building and the porch. Both these parts are built in a classic Greek architectural style and the circular building gives an impression of the Roman baths. This 2000 years old architectural marvel attracts a number of visitors each year and is one of the most visited places in the entire Italy. 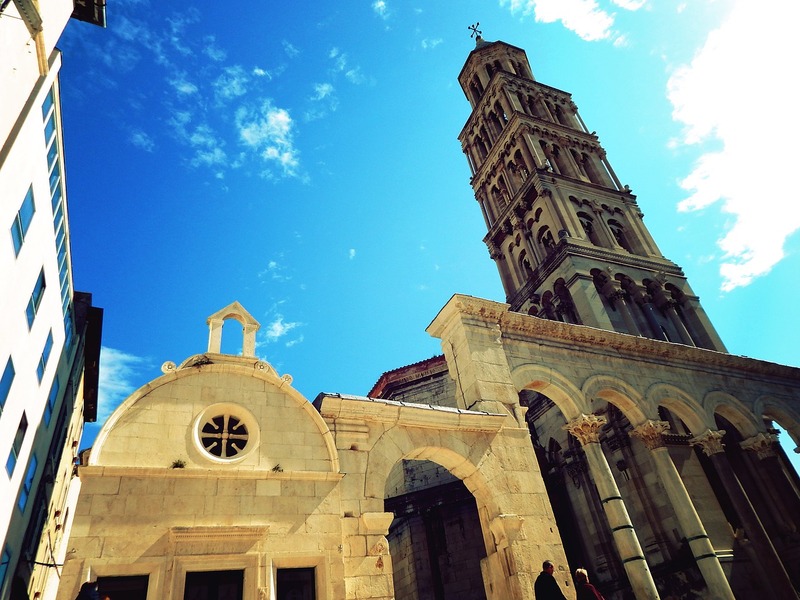 The Diocletian’s Palace is an ancient Roman palace building built by Emperor Diocletian. It was built around 4 century AD and even though most of it has been destroyed, but the ruins are still worth visiting. The palace is huge in size measuring over 38,700 square meters. It has been constantly repaired and reconstructed over the years but this has only added to its beauty. The palace boundary has about 220 buildings which are a home to more than three thousand people. The walk around the palace during the evening can be a life altering experience. The St. Peter’s Basilica is an italian renaissance church located in the Vatican City. 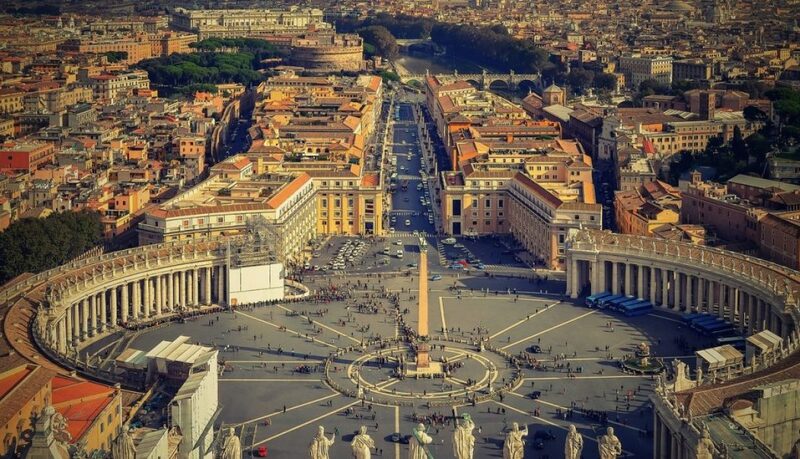 It has been designed by some of the best architects in the Roman times namely Michelangelo, Gian Lorenzo Bernini and Carlo Maderno. The church is considered to be one of the holiest Catholic shrines. It was constructed in 1626 and has been restored and renewed a number of times ever since. It is the largest church in the world and has a nave that is 211.5 meters long. Its dome is also the largest in the world built at the height of 132.5 meters. The interior of the cathedral is beautiful with a beautiful bronze baldachin situated over the papal altar. The dome and the ceilings are also given beautiful detailing. Wherever you look, there is something for you to marvel at. Castel Sant’angelo is a fortress that was built in AD 123 to AD 139 as a mausoleum for Emperor Hadrian. It has since been a papal residence and also a prison. 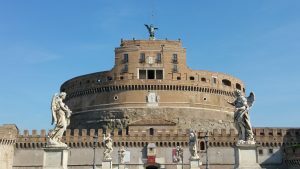 The castle has the National Museum of Castel Sant’Angelo inside it which displays many ancient exhibits like the Renaissance painting, pottery, and the antiques. The terrace of the castle gives a spectacular view of the entire city. 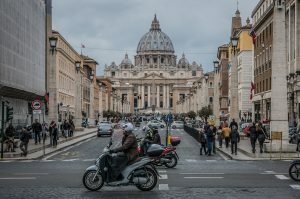 It is situated on the banks of the Tiber river and is very close to the Vatican city. 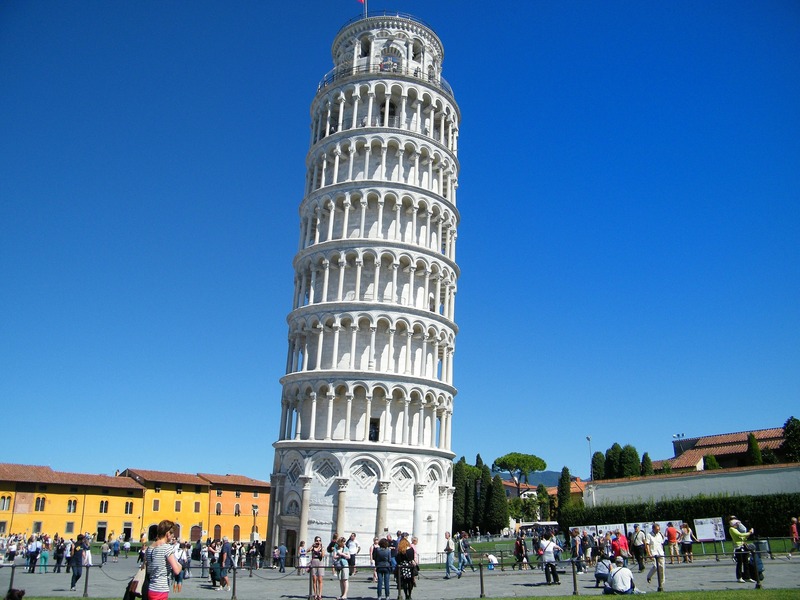 The leaning tower of Pisa is one of the most famous monuments in the world. This bell tower was constructed in the year 1173 as a fifty-six meters high tower. The tower is completely made with marble. While the architects were building, they somehow made a mistake while setting its foundation. When the three of the eight stories already completed, the glitch became prominent. The building started tilting to one side because of the soft ground. 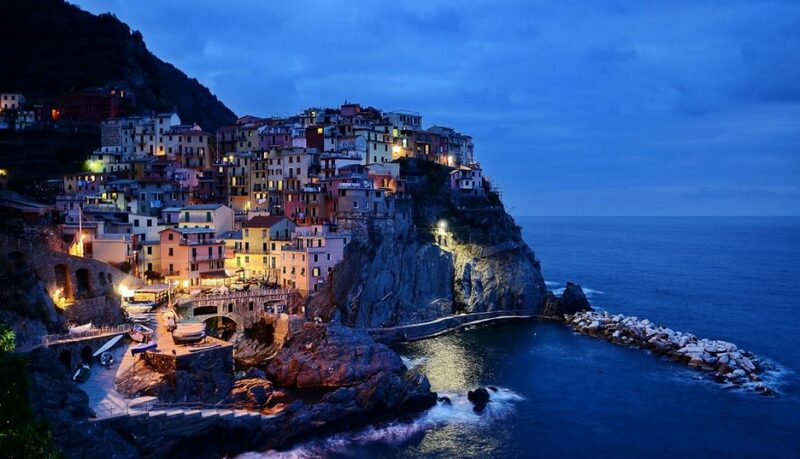 During that time, the war between some Italian states broke and the construction was halted for almost a century. 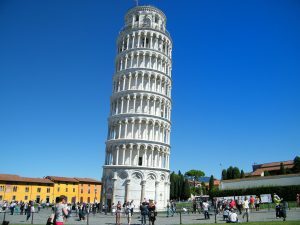 By that time, the foundation somehow got settled, an engineer Giovanni di Simone was given the charge of completing the building. The extra stories that were added to the building made it tilt even more. In the 20th and the 21st century, the building was stabilized by adding cementing to its base and making some more changes to its interior. The tower leans to about 3.99 degrees now and is one of the most visited monuments in the whole world. 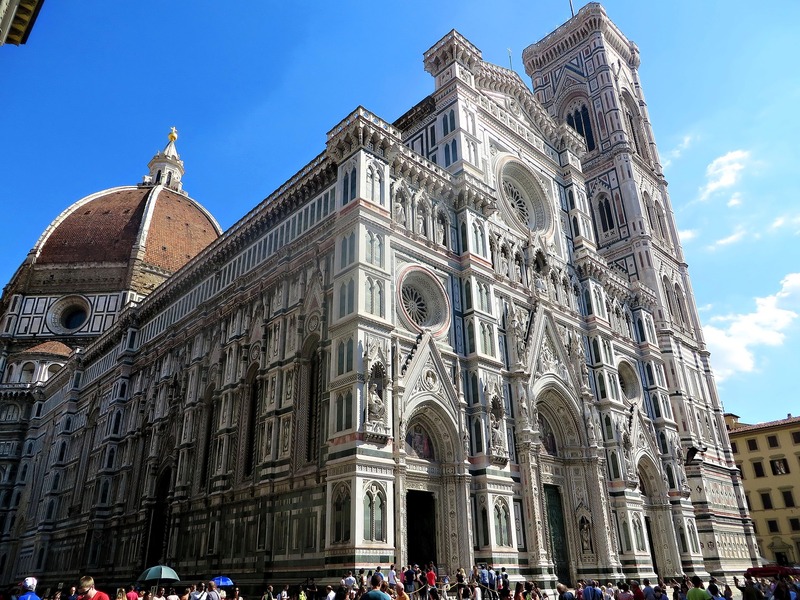 The Florence Cathedral is a Roman Catholic Church that was built in the years 1296 to 1436. 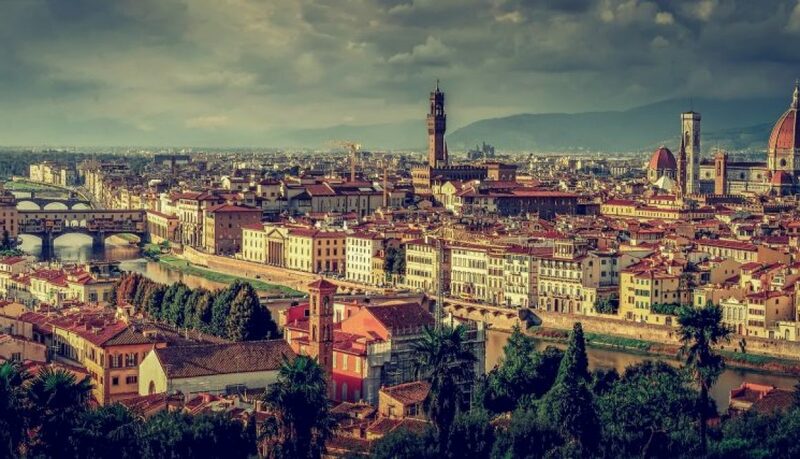 The gothic styled church is one of the most important cathedrals in Florence. The beautiful structure was built by Filippo Brunelleschi at the site of the 7th century Santa Reparata church. The church got its name in the honor of Santa Maria del Fiore. The cathedral construction was started in the 13th century and was completed in the 15th century. The whole cathedral is made of different colored marbles. The exterior has a mix of white, green and pink marbles. The main attraction of this cathedral is its interior and the mosaic pavements. The artwork Last Judgment made by the artist Giorgio Vasari gives the cathedral an even mystic look. The Roman Forum is a cluster of ruins of the ancient Roman District center and consists of many temples, public spaces, and basilicas. The site was initially a burial ground, but in the 7th century, the development of the place started and slowly it became the political, social and commercial hub of the Roman empire. Unfortunately, after the fall of the Roman empire, the place got neglected and the Forum fell. In the Middle ages, it was used as a pasture and was extensively exploited for its marbles and stones. The notable sites in this area are the Curia, Arco di SettimioSevero, and Casa del Vestal. 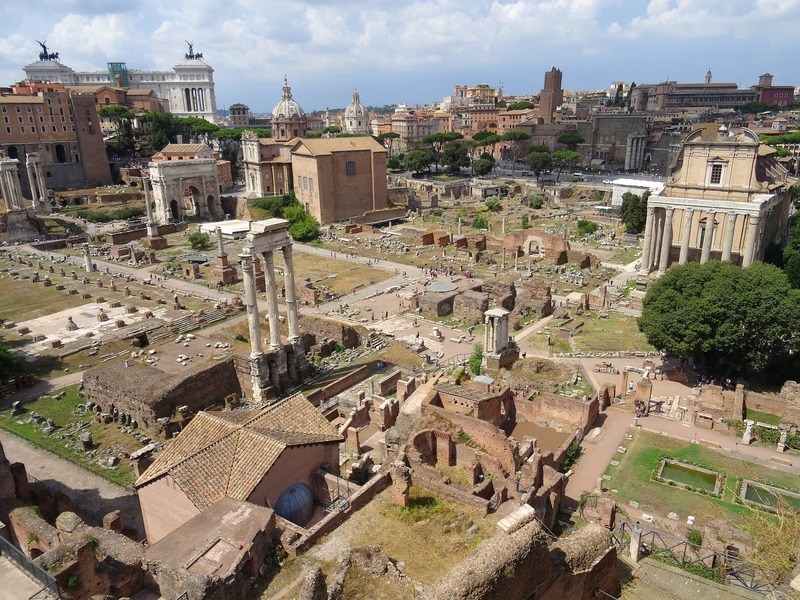 In today’s times, only the remains of the forum are left, but the place is still worth visiting if you want to trace the history of the Roman empire. 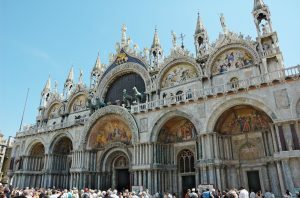 St Mark’s Basilica is a Roman Catholic Church located in Venice. 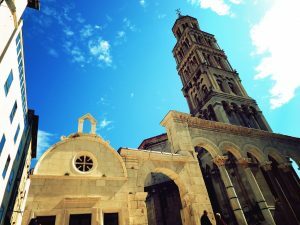 It is one of the most famous churches and is a beautiful example of Italo-Byzantine architecture. The construction of the cathedral was completed in the year 1092. It has been inspired by the Church of the Holy Apostle and the Hagia Sophia in Istanbul. The floor plan is in the shape of a cross with a beautiful dome over the crossing. The cathedral’s design is a mix of gothic and Romanesque art. The exterior is beautifully decorated with Middle-aged architecture and the interior has been given marble detailing. This is one of the most visited cathedrals in the entire Italy. 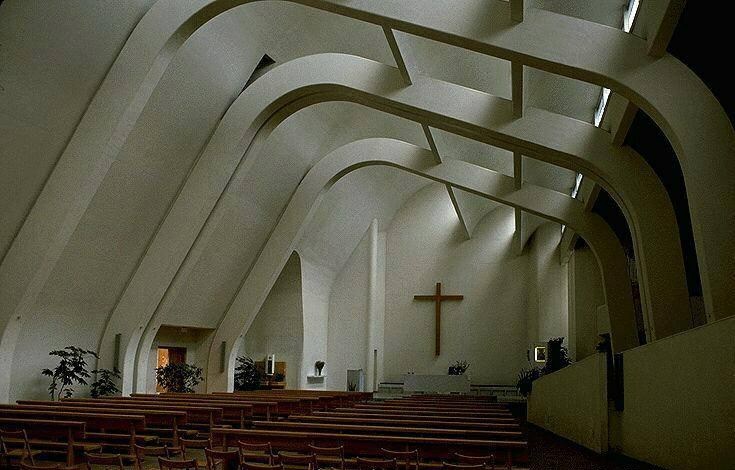 The Church of Assumptions of Mary is a beautiful example of the contemporary architecture. Located in Riola, Bologna, this beautiful piece of art was completed by a Finnish architect Alvar Aalto in 1993. The entire church is made in a beautiful snow white color with its interior made to play with the light. The light falling on this church makes it look divine. The exterior is inspired by the three mountains that surround Riola. The interior is the simplistic theme with not much work done on the walls or the ceilings. 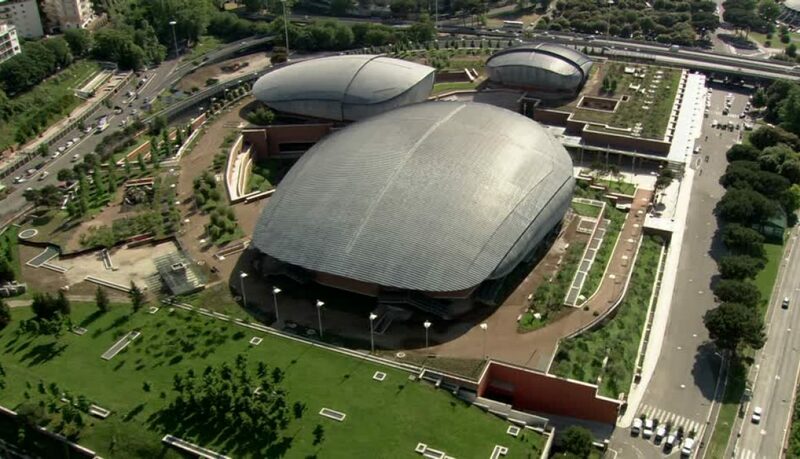 Parco Della Musica is a multi-functional music complex in Rome. Situated in the northern parts of the city, this complex was built in the year 1995 to 2002 by the Italian Architect Renzo Piano. It is huge in size with three large concert halls. 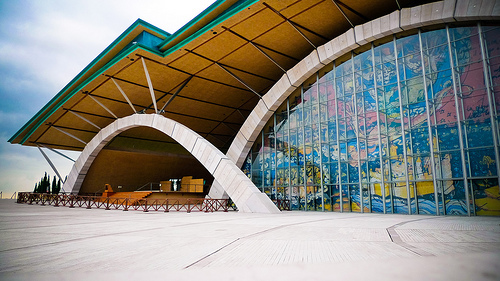 A structure like this could not have been made in the city, so the site for the 1960 Summer Olympics games was chosen to construct it. This has become one of the most visited musical facility in Europe. Apart from three halls, there is also an open theater in this complex that reminds of the ancient Roman and Greek theaters. 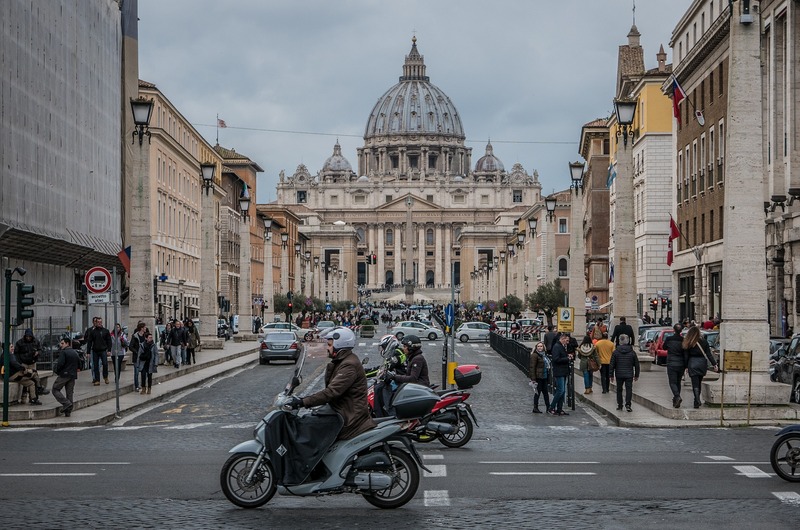 The Jubilee Church also known as the Chiesa di Dio Padre Misericordioso is the community center and a Roman Catholic church located at Tor Tre Teste, Rome. 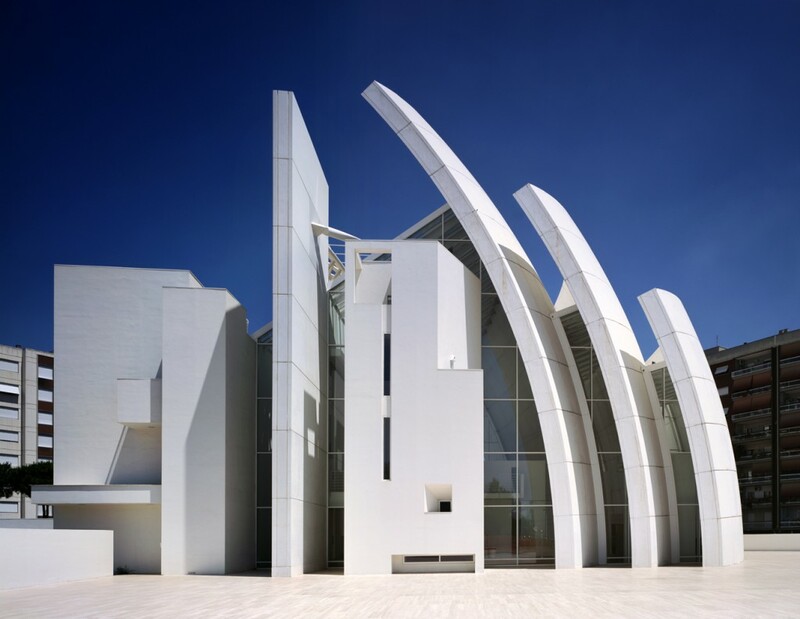 This beautiful building was completed in the year 1996 by Richard Meier and his team. The church is spread over an area of 830 square meters and consist of three enormous shells alongside each other that are slightly bent. The church building is built with very advanced techniques and the material used has self-cleaning properties. The interior is done putting great emphasis on the lighting that comes inside from the gaps between the shells. There is a glass roof in between the shells and the furnishing is minimalistic. 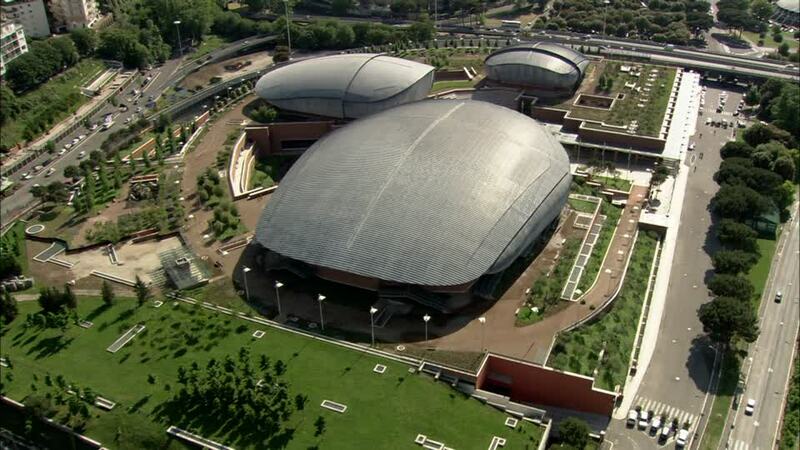 This is one of the finest contemporary architectures in Italy. 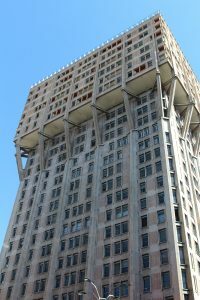 Whenever there is a discussion about the contemporary architecture in Italy, the Torre Velasca will always be discussed. This hundred meters tall building in Milan is one of the first few that came into existence during the first generation of the modern Italian architectural period. It was built in 1958 by four designers Gian Luigi Banfi, LodovicoBarbiano di Belgiojoso, Ernesto Nathan Rogers and Enrico Peressutti. The building has 26 floors and is made in the shape of a clock tower, with the base being less in area than the top. The Padre Pio Pilgrimage Church is situated in San Giovanni Rotondo. The Church is spread over an area of 6000 square meters. It was built in devotion to Saint Pio of Pietrelcina and can accommodate about 6000 people at a time. It was designed by the Genoan architect Renzo Piano. The church building is composed of various arcs supporting the building. The furniture inside is minimalistic and is made of wood. One wall of the church hall is completely made of glass which lets the light come inside giving it a mesmerizing look.